The first review is on the 2011 book Millionaire Teacher by Andrew Hallam. I actually listened to this book via iBooks and I think in total the audiobook is about six and a half hours long. I found it to be very clear and easy to understand while I was commuting for work. The only downside to listening to the audiobook I found was it became difficult to follow along with the charts when it was read out loud row by row. But all in all, it was a great and easy way to take in this book. Prior to writing this book, Andrew Hallam was a school teacher who was able to invest his middle-class salary to build a million dollar portfolio before he turned 40 years old. He didn't come from a wealthy family but he discovered that if he wanted to be wealthy he could not afford to waste any time. With hard work, valuable lessons learned early on in adulthood and pretty tedious saving habits he was able to make the most of his savings. In Millionaire Teacher, Andrew discusses some of his experiences and insights through his journey and introduces The Nine Rules of Wealth that he used to build his portfolio. These nine rules are focused on teaching anyone to succeed in building wealth by helping you grow your money and achieve (what I call) Financial Freedom. 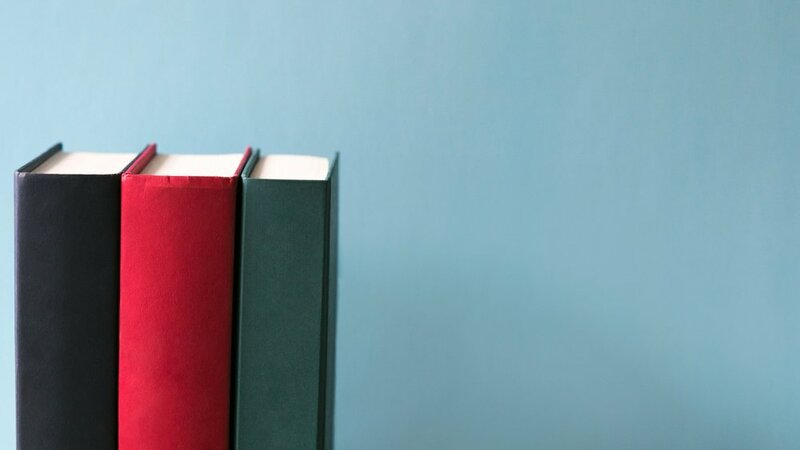 Let's take a look at what I think some of the key takeaways from his book are. The first rule discusses how the perception of what it means to be rich is different than reality. Contrary to popular belief, most millionaires aren't out there driving expensive cars, putting offers on homes they can't afford or burying themselves in debt on things they don't need. It's the difference between looking rich and truly being rich. One of the keys to building true wealth is to spend within your means and understand the difference between your needs and your wants. By being conscious of what you're spending, realistic about what is a need and want, you can put yourself in a position where you're not accumulating debt and you're able to save money for your future without sacrificing your quality of life. I believe I'm going to eventually start sounding like a broken record when I say saving for your future is about balance! Saving everything for tomorrow doesn't make sense today. And spending everything today doesn't make sense for tomorrow. Andrew talks about living a fairly extreme lifestyle in his quest to spend as little as possible in order to save as much as possible. Living mainly off grocery store sales and a borderline unhealthy diet. Although he does not recommend that people follow in his footsteps in this regard, these stories aren't all that uncommon. There are a lot of people making drastic changes in their lifestyle in order to reach their goals, not just financial goals for that matter. Although these stories can be very inspiring, that type of lifestyle doesn't appeal to me. Don't think of saving for your future as an all-or-nothing type of situation, you can make a big difference by doing a little. Something that Andrew highlights that makes a much bigger difference than most people could imagine is the fees you pay for big financial institutions to manage your money. To an average middle-class person, paying high fees can equal tens to hundreds of thousands of dollars over their lifetime. He believes that most places push products that result in the clients paying high fees for services that don't guarantee better results than low fee alternatives, specifically actively managed mutual fund accounts. Studies have demonstrated that accounts that are actively managed tend to perform worse than index funds, because of frequent trading transaction fees and managers being impatient. I do agree that (like in many cases through any service industry) the product that would fit the clients best interest isn't always the one first recommended, companies can feel pressure to put company profit over client best interests. But even in my short time of investing I have found good people in the industry that take pride on offering their clients excellent service and the right products at fees so low that the big banks can't compete. If you are investing through a financial institution you should know how your money is invested, what you're paying in fees and ask your advisor what separates them from the competition. Like with anything else, you should be confident and proud in your choice and know what the advantages are. Most people I've talked to are unsure how their money is managed, what their fees are, and almost always they either invest through their lifelong bank or whoever their employers recommend. Usually out of convenience, without knowing if it truly is their best fit. Make sure your money is in a position where it is working as hard as you do. It becomes clear pretty quick that Andrew's preferred investment strategy is Indexing, which is investing in Index Funds and ETF's (Exchange Traded Fund). Index Funds and ETF's are essentially packages of stocks, typically grouped together by sector or market. Because Index Funds and ETF's are groups of different companies they are well diversified and deemed to be less risky. Although they aren't immune to a market crash, similar to what we saw in 2008. Although historical performance doesn't guarantee future performance, The S&P 500 (The Standard & Poor's 500 - American stock market index comprised of 500 large companies) average annual return (compound annual growth rate) since inception (1928) is approximately 9.5%. By putting together a portfolio of Index Funds or ETF's you can certainly get higher returns than most financial institutions can offer because of their high fees. Realistically, they way you could invest your own money wouldn't be that different than how a financial institution would. Although Index Funds are Andrews preferred strategy for investing, he did create an investment club with fellow teachers interested in their investments. They followed Warren Buffett's strategy of Value Investing. Value Investing is researching and identifying companies that they believe are undervalued, with the goal of buying low and selling when the stock price rises above what you believe the stock is valued at. It is removing the unknown element of speculation. By knowing what a company is worth, you can have a good idea if you're getting a deal and when to sell the stock. It is important to look at the value of the company and where the current stock price is at. Comparing one stock price to another isn't a good representation on whether or not that stock is a good price to buy, a $1 stock can be more expensive than a $10 stock. A general rule of thumb is, if you do feel like you want to actively manage your own money by buying and selling shares, do so with a small percentage of your overall portfolio (up to about 10%). And make sure you do your research before hand and are confident in what you're buying. It is very easy to lose money by making irrational or impulsive decisions (human nature). I would definitely recommend this book to anyone who is looking to acquire more information on the importance of investing and how to make the most of it. Andrew talks about The Nine Rules of Wealth and how anyone could apply them to their everyday routine. He shares a lot of insight into the world of investing and I think speaks most to people who are looking to make a real difference in their financial futures. His approaches are easy to understand and can be done with minimal effort, he says someone can manage their own investments with as little as ten minutes a year. This is a great book for someone who is just learning about investing to an experienced investor. 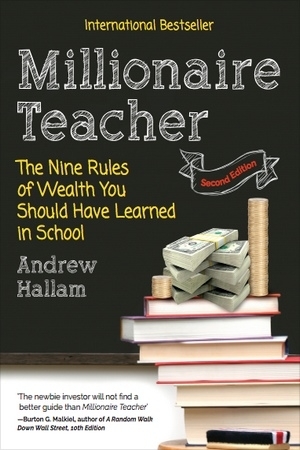 Have you read Millionaire Teacher by Andrew Hallam? If so, what do you think of my review, what do you identify as the major takeaways? If not, are you interested in reading it after reading this review? Please leave us a comment and lets start a conversation.